The countryside and forests create a pretty picture of Falster. Renowned for its zoo, golfing and fishing, this city welcomes all visitors. Many rental homes come with outdoor spaces, separate dining areas and full kitchens, perfect if you want to enjoy some home-cooked meals. If you're traveling by train, Nykobing Falster Station, Nykøbing Falster Station and Eskilstrup Station are the main stations that serve the city. Where to stay around Falster? Our 2019 property listings offer a large selection of 818 vacation rentals near Falster. From 786 Houses to 25 Condos/Apartments, find a unique house rental for you to enjoy a memorable stay with your family and friends. 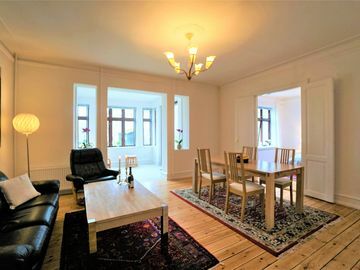 The best places to stay near Falster for a holiday or a weekend are on HomeAway.